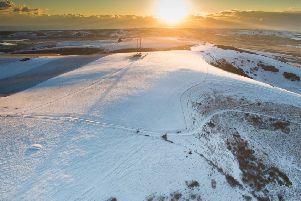 The Met Office has issued a weather warning for Sussex as snow is expected to affect the county later this week. Areas in the north of Sussex are most likely to be affected by the snow, which is expected to fall between 9pm on Tuesday (January 29) and Wednesday (January 30), according to the Met Office. The snow fall could ‘possibly be heavy at times’. The Met Office warned there was a small chance of travel delays on the roads, with some stranded vehicles and passengers, along with delayed or cancelled rail and air travel. There was also a small chance that some rural communities could become cut off and that power cuts will occur and other services, such as mobile phone coverage, may be affected. A spokesman said: “A band of rain pushing east across parts of England is likely to turn to snow during Tuesday evening, with snow continuing into Wednesday. “Accumulations of 1-3 cm are likely quite widely, with accumulations of 5 cm in places. The yellow warning has been issued for Sussex, but it is the north of the county that looks most likely to be affected. It is set to be a cold week overall – with maximum temperatures of six degrees forecast on Monday and Tuesday. 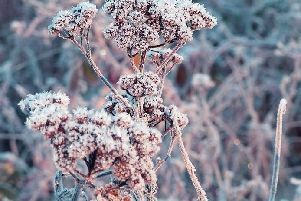 Hard overnight frosts are expected throughout the week, with maximum temperatures of four degrees expected on Wednesday and of five degrees on Thursday.